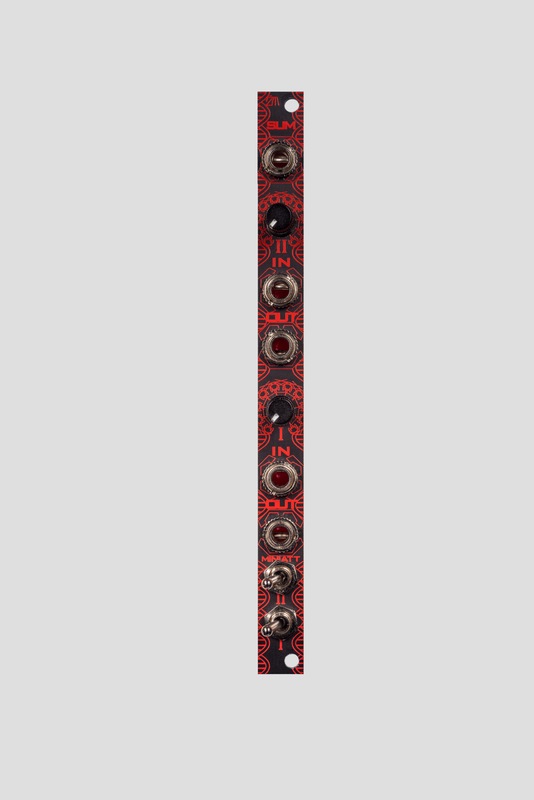 MiniAtt: is a 2hp dual passive summed attenuator with toggle switches to turn each channel on or off. both channels are normalled to the sum. there will be some signal loss at the sum out, as the module is passive. great for cv or audio although the module ships with linear pots.